My Chosen Vessels (MCV) was honored to participate in the United Nations (UN) Permanent Forum on Indigenous Issues from April 24th to May 5th, 2017 at the UN Headquarters in New York City. 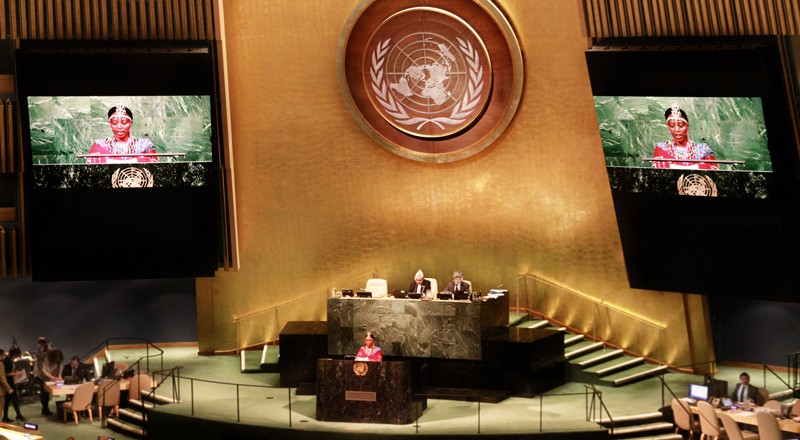 More than 1,000 indigenous peoples’ representatives participated in the session. MCV attended to represent the 60,000 Maasai people spanning Kenya and Tanzania living in the jurisdiction of the 15 cultural chiefs who are ambassadors for MCV programs to address their fight for land-rights, clean water, education, and cultural preservation. 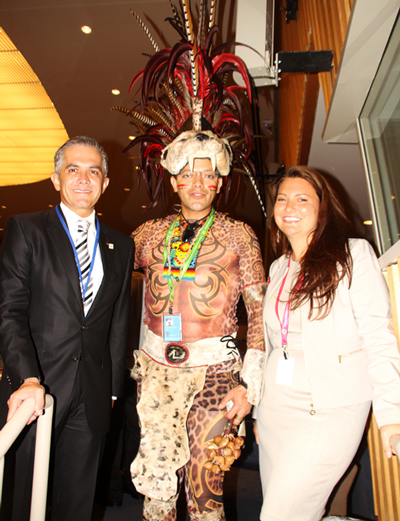 MCV President Jessica Censotti with Mexico City’s Mayor Miguel Angel Mancera Espinosa and Juan Cervantes Salvatore representing Mexican indigenous peoples. MCV received consultative status with the UN Economic and Social Council (ECOSOC) in July 2016, for the efficient humanitarian work we have implemented over the past nine years in Maasai communities. Upon receiving our status, Jessica Censotti, MCV President, and Elizabeth Kocek, MCV Executive Assistant, registered to participate in the Permanent Forum because we have on-the-ground experience and understand the urgency needed to protect the rights of the Maasai people. Indigenous nations, including the Maasai, play a key role in shaping a sustainable future for all. This year marks the tenth anniversary of adopting the United Nations Declaration on the Rights of Indigenous Peoples (UNDRIP). The UNDRIP was adopted in 2007, after 25 years of negotiations and ongoing advocacy from indigenous leaders around the world. 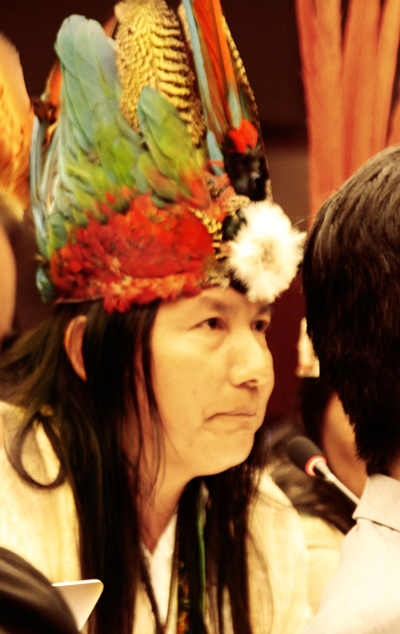 The Declaration is a non-binding document which provides awareness on indigenous rights at the international and national level to protect their land, resources, and to maintain their culture. High on the agenda of the UN international meeting was to further discuss mechanisms for its implementation. MCV was invited to speak regarding what we have witnessed on the ground working in the Maasai communities, relating to particular agenda items. Examples include how far along the Maasai have come since the UNDRIP was signed ten years ago and human rights violations. MCV President agreed to speak in these forums on certain agenda items. The opening ceremony included an array of indigenous presentations from the Charrúa people of Uruguay, the Onondaga Nation of northeast North America and statements from around the world. 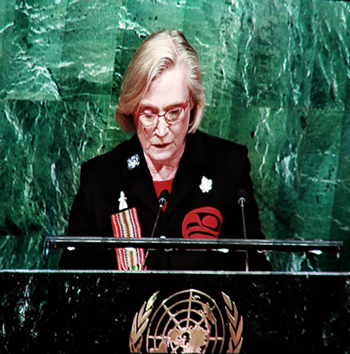 MCV was moved by the speech from the Honourable Carolyn Bennett, Minister of Indigenous and Northern Affairs of Canada. 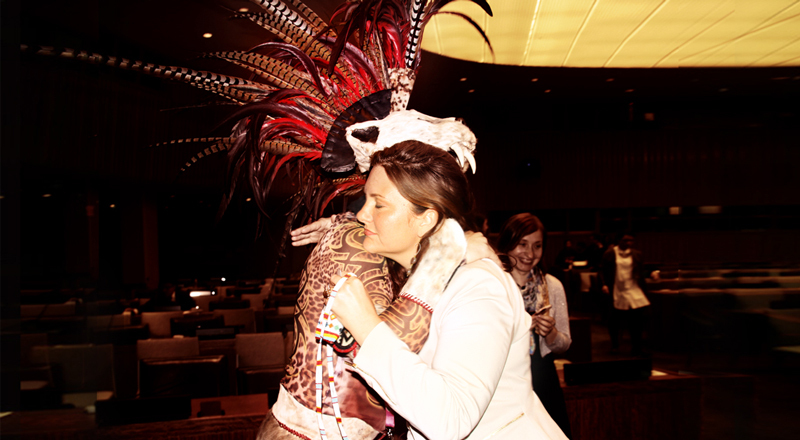 The first week of the forum addressed the rights of indigenous women and youth. As an advisory body, we urged country states to cooperate with indigenous peoples to prevent all forms of violence and discrimination against indigenous women and to support measures aimed at ensuring their full and effective participation in decision-making processes at all levels. The second week of the forum brought new agenda items, including the 2030 Agenda for Sustainable Development and the goals set by the UN. 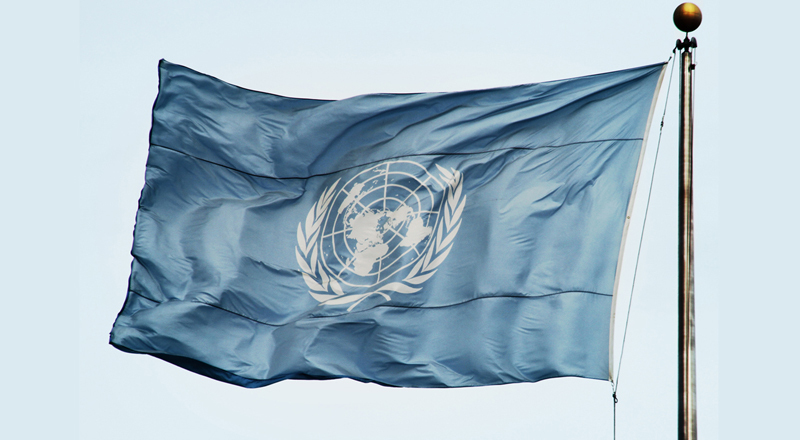 The Forum recognized that indigenous peoples can provide the UN with sustainable development mechanisms through their traditional knowledge and ways. While progress had been made on a range of pressing challenges for Sustainable Development, far more must be done to ensure that indigenous peoples are not left behind. MCV has deepened our commitment to providing clean water and education programs for the Maasai communities for sustainable development. During the ceremonial closing of the Forum, Mariam Wallet Mohamed Aboubakrine (Mali), the Chairperson of the UN Permanent Forum on Indigenous Issues voiced her concern over encroachments on ancestral lands, and encouraged the UN to utilize traditional knowledge to fight climate change. In addition to the forums, MCV had the opportunity to attend seven side-events, these were small intimate group discussions, sponsored by the World Intellectual Property Organization (WIPO), Open Society, The World Bank, United Nations Educational, Scientific and Cultural Organization (UNESCO), Cultural Survival, UCLA Information Studies Department and UN Agencies. MCV Cultural Conservation Program is looking forward to participating in the 2019 International Year of Indigenous Languages developed with UNESCO. MCV also took the opportunity to engage with others attending the Forum from around the world in private meetings and local New York City foundations and organizations that are doing work with indigenous peoples. We met with Gervais Nzoa (Cameroon), African States Permanent Forum member; Gina Cosentino, Social Development Specialist at The World Bank; Kiri Toki, Indigenous Fellow (Maori) at WIPO; Mala Mareachealee, Manager at Indigenous Peoples of Africa Coordinating Committee (IPACC); Stephen Donofrio, Founder of Greenpoint Innovation; representatives from the Canadian Friends Service Committee; and representatives of the Ford Foundation and Rockefeller Foundation. Thanks to MCV’s commitment to defend the Maasai and explain interpersonally to the Permanent Forum members the conditions of the Maasai people on the ground, protection for the Maasai has been written in the 2017 annual recommendations to the UN member states. The Permanent Forum recommended that the Maasai, along with other indigenous nations in Africa, require free, prior and informed consent regarding all decision-making pertaining to their land, resources and development. Many indigenous peoples described situations where their human rights are being impacted by a large-scale infrastructure projects, natural resource extraction and industrial agriculture activities in their territories without their free, prior and informed consent. The Permanent Forum received information to this effect from the Shuar, Sapara, Maasai and Ogaden peoples, among others. The Permanent Forum is particularly concerned by cases where it appears that the interests of investors are better protected than the rights of indigenous peoples. The Permanent Forum reiterates that States and the private sector must respect the human rights of indigenous peoples by ensuring the effective implementation of the United Nations Declaration on the Rights of Indigenous Peoples and the Guiding Principles on Business and Human Rights. The recommendations also urged Kenya to develop laws and policies with regard to indigenous traditional knowledge. These recommendations provide the backbone for defending the Maasai and their rights. The Maasai were not listed in prior recommendations – MCV celebrates this milestone, yet we recognize we have a long road ahead of us in protecting the rights of the Maasai people. MCV thanks all the Permanent Forum members, the indigenous nations, and all the above mentioned organizations for their tireless efforts in protecting the rights of indigenous peoples around the world. We are inspired by the dedicated individuals and agencies striving diligently to help indigenous nations survive. MCV looks forward to working together in the future, to assist the Maasai people in the areas of clean water, education & Maasai cultural preservation.